We’ve selected the best places to stay in Devon, including luxury hotels, boutique hotels, budget hotels and pubs with rooms. With hotel rates provided by our Booking Partners, you can check availability and book. The Salcombe Harbour Hotel is a seaside hotel with a gorgeous view. Pay the extra for an estuary room so you can sit out on your balcony, gin & tonic in hand and soak it all in. The vibe is family-friendly meets coastal luxury. Nice touches include gin and sherry decanters in your room. For soggy seaside days, there’s a cinema room with popcorn and a spa with treatments that will leave you feeling blissed out. The food is scrumptious and Salcombe’s chi-chi shops and boutiques are literally on your doorstep. Tucked away in a quiet location but just a 10-minute stroll into town, the Dart Marina Hotel is a peaceful place to stay in Dartmouth. It makes a relaxing and comfortable base if you plan to do some coastal walking or are visiting the Dartmouth Food Festival. Stay in one of the spacious and newly refurbished rooms that come with a decked balcony and you can observe river life. Ferries come and go, yachts sail by and the steam train winds its way along the Dart estuary. An architectural gem awaits guests who stay at Kaywana Hall. This is an ultra modern, light and airy contemporary B&B set in a 12 acres of peaceful woodland. Located on the Kingswear side of the River Dart, it’s handy for hopping on the steam train to Greenway, Agatha Christie’s holiday home or walking to Brixham. Modern luxury combined with great attention to detail and wonderful hosts makes this a first class place to stay in Dartmouth. If you’re looking for a bit of glitz and glamour in the North Devon countryside, Kentisbury Grange fits the bill nicely. This sophisticated and stylish country house hotel has gone up a notch with the addition of its exquisitely designed Cottage Suites located in its beautiful grounds. Inside the stone cottages: swanky bathrooms, Hypnos beds, mood lighting and Nespresso machines. The hotel offers something for everyone including two family suites with self-catering facilities. But for food lovers, the real pull is the special restaurant in the grounds with its divine six-course tasting menu. Escape to the wilds of Dartmoor National Park for old school charm and exquisite food at this small luxury hotel. Gidleigh Park, an impressive mock Tudor country mansion, packs a punch when it comes to culinary credentials. 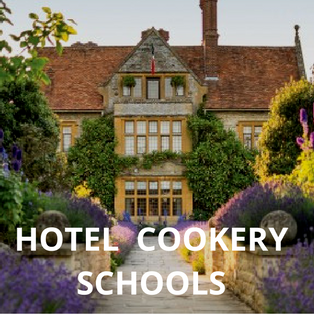 It’s where Michelin-starred chef, Michael Caines, made a name for himself. Although he’s no longer at the hotel, food lovers still flock here to cocoon and indulge safe in the knowledge they will be rewarded with impeccable service and outstanding cuisine. Bedrooms are English country house style. Nice touches include complimentary decanters of sherry and a ‘pantry’ for making hot drinks. Hotel Endsleigh is one of those special places that stay with you long after you’ve checked out. It has a lovely feel to it. The historic house is blissfully quiet and secluded, sitting deep in the Devonshire countryside, at the end of an impressive long rhododendron-lined driveway. Rooms, including the exquisite library, are elegant and tasteful with chic prints and furnishings, antiques and roaring fires. It all creates a warm and relaxing environment where you can retreat and switch off completely. The gardens are heavenly, as is the food, with its use of prime Devon produce and Italian influences. Even better, dogs are very welcome. Rooms from £153 a night. This stunning historical house, set within vast grounds on Dartmoor National Park, is home to a quintessentially British hotel. It’s all about tradition and family here. Bovey Castle is the place to take the kids and the dog and enjoy activities such as golf, tennis and yomping across the moors. And if you just want to relax, try the spa or settle into an armchair in front of a crackling fire. Local produce, including game from the moors, is championed in the two restaurants. Perhaps rabbit risotto, Dartmoor beef wellington or Brixham crab. Rooms from £109 a night. Imagine yourself sitting on your balcony, drinking a glass of chilled wine, and looking out across the Tamar valley. The idyllic setting and the sweeping views are the magnets that attract guests to the Horn of Plenty near Tavistock. There’s also the restaurant’s award-winning food and gourmet dining experience. The hotel is a cosy country escape for couples and families celebrating a special occasion. Comfy and well-appointed rooms are in the main house or the separate Coach House. With wonderful walks along the nearby Tamar trails, dogs are also very welcome. Book a night in one of the properties owned by the Hotel du Vin chain and you’ll usually find yourself staying in an interesting historic building. The Hotel du Vin in Exeter is no exception. Once a Victorian eye hospital, it’s now a sizeable hotel with 59 bedrooms. Although not in the centre of town, it’s still close enough to walk to the Exeter cathedral in 10-minutes. A handy place to stay in Devon if you’re en-route to Cornwall and need a pitstop. Rooms from £89 a night. Owned by family brewers, Hall & Woodhouse, great beer awaits at The Ness in Shaldon. Built in 1810, this pretty colonial style villa was once a summer home for Lord Clifford. Now a popular pub with rooms, it sits just outside the seaside village of Shaldon and overlooks the River Teign estuary. It’s a perfect spot to enjoy a pint with a view. 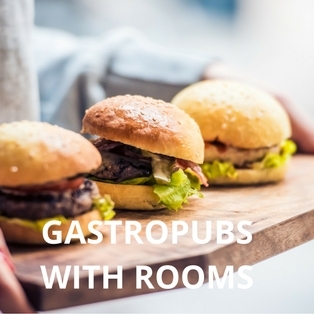 Tasty pub classics are on the menu. Try the pub’s signature steak and Tanglefoot pie made with their own beer. Nautical themed bedrooms (some are dog friendly), add to the coastal charm. An unpretentious place to stay for a seaside break. For a chic and romantic weekend away by the sea, The Carys Arms, in Babbacombe Bay, has all couples could wish for. This historic seaside inn has a cosy pub atmosphere with crackling fires and real ale, yummy food, superb accommodation options and relaxing spa treatments. Stay in a beach hut by the water’s edge and order a breakfast hamper so you can enjoy it with uninterrupted sea views. The location is sublime and the sea air, just the tonic. Take the dog with you and go for long walks along the South West coastal path. Rooms from £195 a night. A good value choice and an all rounder for families looking for a place to stay in South Devon. Dartington Hall, near Totnes, is a different kind of hotel because it is run as a social enterprise. The 50-room hotel promotes itself as an events venue and is located on the Dartington estate. You’ll find plenty going on for families with a cinema, cafés and craft shops all within its extensive grounds. There’s a varied list of courses and events for crafty, arty types and some food workshops. If you enjoy drinking the local wine and cheese served in the restaurant, take a tour of nearby Sharpham Vineyard. You’ll be in wonderland when you stay at Glazebrook House Hotel. This small boutique hotel with 9 rooms is quirky, glamorous and playful. Inside, stylish and theatrical interiors surprise and delight at ever corner. With over 900 vintage pieces, it has the feel of a 19th century collector’s house with all the luxury of a hip London hotel. 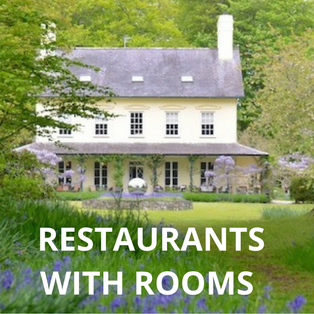 The winning combination of good food, efficient service and warm hospitality make this one of the best places to stay in Devon. Outside, go for long walks across Dartmoor. Salcombe is 30 minutes away by car. Rooms from £199 a night. Escape to the picturesque and peaceful setting of Soar Mill Cove. The family-run, 4-star seaside hotel, sits in a valley with its own private cove. There are fabulous views and walks all around it. The hotel is both family-friendly and dog-friendly. It offers good facilities including a pool, spa treatments and comfortable, spacious accommodation. This is a quiet place to relax in the sunshine and get away from it all. Perhaps with a delicious Devonshire cream tea. The Harbour Hotel Group has quietly upgraded the British seaside break by transforming a handful of unloved hotels in traditional coastal resorts. They’ve applied their magic touch and created nautically themed spa hotels with a reputation for good food. The Sidmouth Harbour Hotel, located on the western fringe of the town, is no exception. Bedrooms are well presented with elegant seaside décor and big comfy beds. Signature touches include decanters of complimentary sherry and gin. There’s even a 5pm delivery of ice and lemon to your room. Sidmouth’s shops and cafes are just a short walk along the esplanade. Rooms from £75 a night. A luxury boutique bolthole in the heart of Exeter. Southerhay House has romantic weekend break written all over it. With links to the East India Company, the beautiful Grade II-listed Georgian house has been thoughtfully and elegantly styled. The hotel is rich in original features. Lie in your super comfy bed and gaze out of the huge sash windows at leafy Southerhay gardens. For breakfast, perhaps a Full Devon English or tomato hash with poached egg and spinach. Exeter’s St Peter’s cathedral and its independent boutiques are all close by. Active types can go cycling or walking along the Exe Valley Trail. A seaside haven in the South Hams. The South Sands Hotel is New England by the sea. Both family-friendly and dog-friendly, guests come here to enjoy the beach, water sports and spectacular coastal walking. A regular water taxi service takes you into Salcombe. There are 22 light and airy bedrooms named after sailing boats. It’s worth paying the extra for a sea view. J-Class has two standalone baths looking out across the water so you can enjoy a soak and a glass of bubbles à deux. Beach suites are ideal for families and come with their own kitchen. It’s worth checking into Boringdon Hall for the night just to use the ultra modern spa. It’s superb and comes with top notch facilities. Located just outside Plymouth, in an unlikely spot, it’s one of the best places to stay in Devon if you’re en-route to Cornwall and need somewhere to relax and rejuvenate for the night. Be aware, it’s a hotel of two halves. There’s the historic old part that dates back to the Domesday Book with its Great Hall and bedrooms with four-poster beds. The modern courtyard wing offers guests a different experience and has spacious and comfortable rooms. Rooms from £71 a night. Popular with walkers doing the South West coastal path, this lovely seaside inn has a reputation for delicious seafood. You’ll find it off the beaten track located in the tiny fishing village of Beesands next to the beach. Dating back to 1867, The Cricket Inn offers visitors accommodation in seven nautically-themed bedrooms. You can sit in bed and watch the sea sparkle. Salcombe and Dartmouth are a short drive away.